Widespread and common in South Africa and not threatened. Northern KwaZulu-Natal, northwards along the Lebombo Mountains through Swaziland to Komatipoort and Barberton, southern Mpumalanga. It also occurs further northwards throughout the Lowveld and along the escarpment to the Wolkberg, southern Limpopo Province. Somewhat disjunct subpopulations are also known from the Soutpansberg in northern Limpopo Province (Reynolds 1969). A. spicata also occurs in southern Mozambique around Maputo (Van Wyk & Smith 1996, Reynolds 1969) and in Zimbabwe (Glen & Hardy 2000, Kativu 2001). Highly variable, including a very wide altitudinal range from the Mpumalanga Lowveld to the top of the escarpment. Plants are often found in rocky areas, including steep slopes and cliffs, but show no preference for a particular geology or soil type. 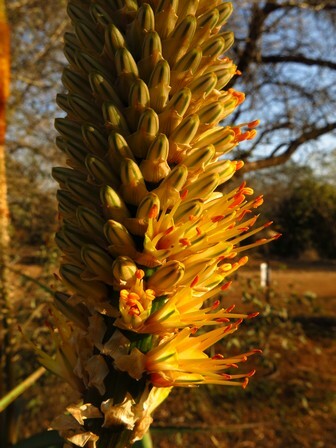 Aloe spicata is very common and not threatened with extinction (Van Wyk & Smith 1996). Protected in the Kruger National Park and Wolkberg Wilderness area. 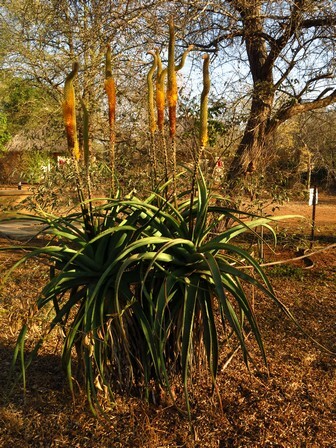 A. spicata in Zimbabwe was formerly known as Aloe tauri. These very similar species were recently combined (Glen and Hardy 2000, Kativu 2001).